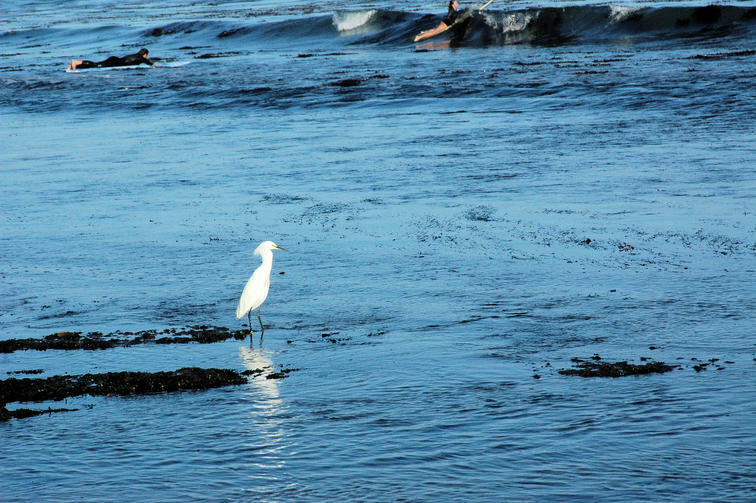 There was a young Egret, about twelve feet off to our left, totally unconcerned with us or the surfers. He seemed to be just hanging around. Taking in the sights, like everyone else ;) Nice capture! It appears he thought he was just part of the family. The photo has been viewed 82 times.